There are two versions of Vietnamese rice noodles available. I'd like to know what is the difference, if any. They seem almost identical. I'm going to go out on a limb and say that there doesn't seem to be a difference in the two. 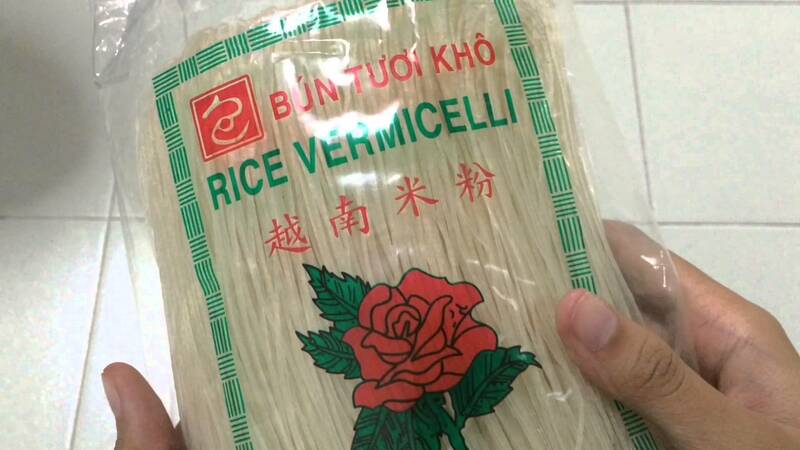 They are both rice vermicelli noodles. So I came away thinking it's more semantics than anything. @Cindy is correct, that both are made of rice flour. Similar to pasta, the difference is that one, bún tươi (fresh noodle), has just been made and cooked, and that bún khô (dry noodle) has been dried, as in the packaged product in the image. Not the answer you're looking for? Browse other questions tagged noodles vietnamese-cuisine or ask your own question. What type of noodles absorb most amount of liquid?